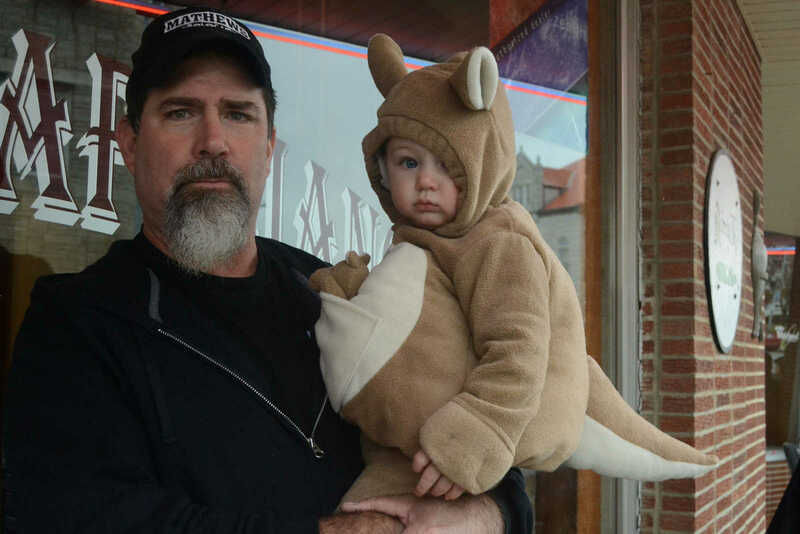 Ron Terry poses with Kirston Terry at the Safe Treats Parade on Thursday. 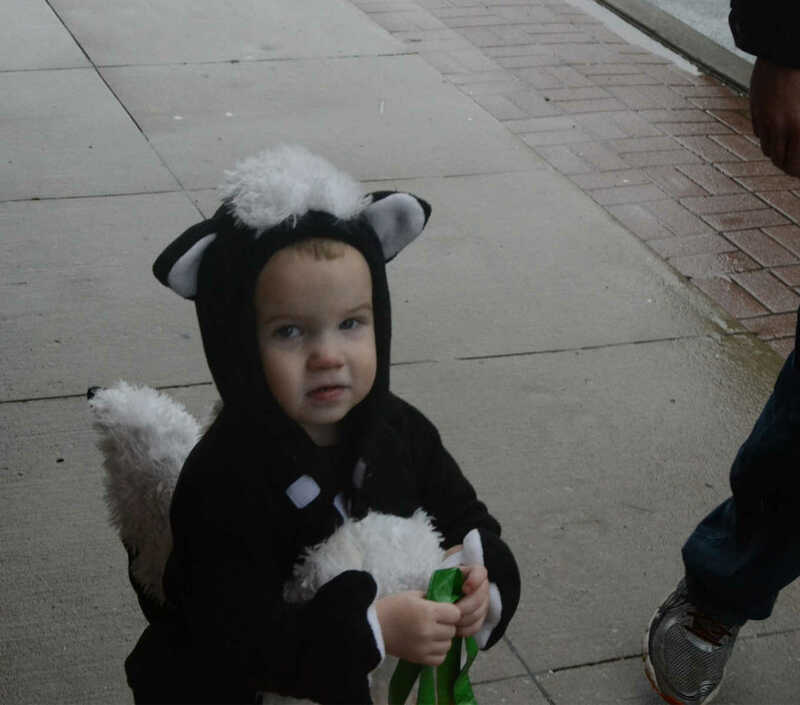 Hudson Dyer participates in the Safe Treats Parade on Thursday. 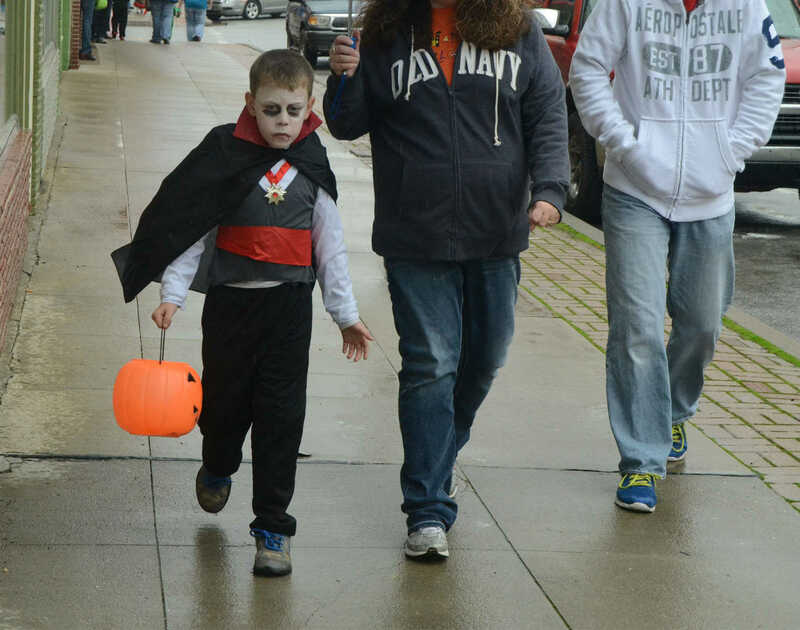 Conner Lanham participates in the Safe Treats Parade on Thursday. 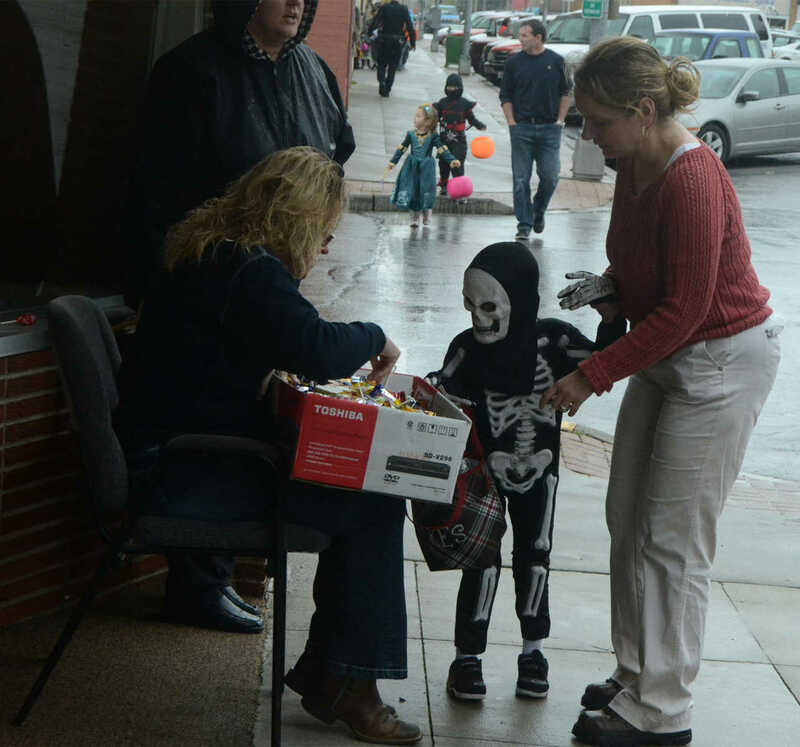 Caleb Eastwood gets some candy during the Safe Treats Parade on Thursday. 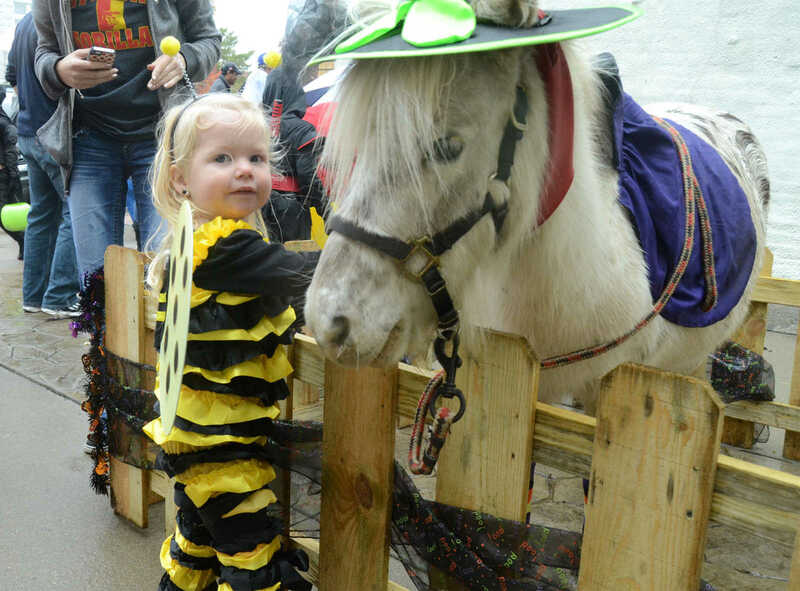 Kinsley Hooper pets Merry Lee during the Safe Treat Parade on Thursday.